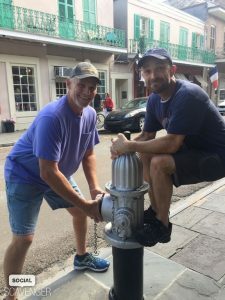 Event Description: An exciting place to participate in a corporate teambuilding event, The French Quarter is a hunt location like no other. From its spring-break atmosphere of raucous Bourbon Street to the quaint horse-and- buggies of Decatur and the antique shops of Royal and Chartres, New Orleans is neighborhood to get lost in. During your corporate teambuilding treasure hunt…live music, wrought-iron trellises and the smell of fresh beignets are your companions as you sleuth your way through the cobblestone lanes of the Quarter, solving clues at the oldest tavern in America, a museum dedicated to Mardi Gras, a pharmacy from our great-grandparents’ era, or the bar where Hurricanes were born. It’s sweet and mysterious times in the Big Easy.